The Best Macroeconomics blogs from thousands of top Macroeconomics blogs in our index using search and social metrics. Data will be refreshed once a week. Macroeconomics newsletter is a comprehensive summary of the day's most important blog posts and news articles from the best Macroeconomics websites on the web, and delivered to your email inbox each morning. To subscribe, simply provide us with your email address. Newport Beach, California About Blog Timely insights on markets and macroeconomics around the world. Facebook fans 11,213. Twitter followers 225,414. Facebook fans n/a. Twitter followers 59,666. Newcastle, Australia About Blog Bill Mitchell is a Professor in Economics and Director of the Centre of Full Employment and Equity (CofFEE), at the University of Newcastle, NSW, Australia. His blog is about Modern Monetary Theory with importance to macroeconomic reality. Facebook fans n/a. Twitter followers 4,682. Washington, D.C. About Blog National Association of Home Builders Discusses Economics and Housing Policy. It provides the latest housing forecasts, market trends, in-depth economic analysis, and archival data relating to the housing industry. The highly anticipated forecasting and analysis are provided by NAHB’s Economics Group. Facebook fans 67,047. Twitter followers 40,541. Baltimore, Maryland About Blog Blog by David Merkel. Helping Institutions and Ordinary People Invest Better by Focusing on Risk Control. My goal is teaching investors about better investing through risk control, and tying all of the markets into a coherent whole. Facebook fans n/a. Twitter followers 12,234. South Africa About Blog FNB Blog, where you have access to thought leadership insights, economic updates and Business tips from industry experts. Facebook fans 826,145. Twitter followers 128,171. Facebook fans n/a. Twitter followers 12,435. About Blog The Econospeak blog is a multi-author blog. Self-described as “annals of the economically incorrect”, this frequently updated blog analyzes daily news from an economic perspective, but requires a strong economics background. About Blog Mark Dow’s microblog, analyzing global macroeconomic and market issues, often through the prism of our cognitive shortcomings. Facebook fans n/a. Twitter followers 32,701. Facebook fans n/a. Twitter followers 15,391. Chicago, IL About Blog Oweznzidar is the personal blog of Owen Zidar, an Assistant Professor of Economics at the University of Chicago. Like his field of research, he often blogs about fiscal policy issues and the macroeconomic impact of tax policies. Facebook fans n/a. Twitter followers 3,924. About Blog A forum for economists who believe that macroeconomics can be both internally coherent and stabilization-policy relevant. Our mission is to educate youth and young adults about issues that affect them and their communities, through our use of innovative programs and enriching activities. Facebook fans 1,067. Twitter followers 31. About Blog Non-Stochastic Saturation Macroeconomics. Welcome to the small alcove for the advancement of cause and effect saturation macroeconomics. This site pursues the hypothesis that the nature of market valuations and economic cycles is both causal and quantitatively decipherable. Washington DC About Blog Paul Romer, an economist and policy entrepreneur, is a University Professor at NYU and director of the Marron Institute of Urban Management. His work now focuses on urbanization because better urban policy offers the best chance for speeding up growth in the developing world. In 2002, he received the Recktenwald Prize for work on the economics of ideas and the drivers of economic growth. Facebook fans n/a. Twitter followers 14,725. Canada About Blog Get post on Macroeconomics. Topics include: credit crunch, micro & macroeconomics, recession, personal finances, debt management, interest rates, forex, and more. About Blog A blog about the economy, monetary policy, and international finance. About Blog Posts about Macroeconomics written by Ben. 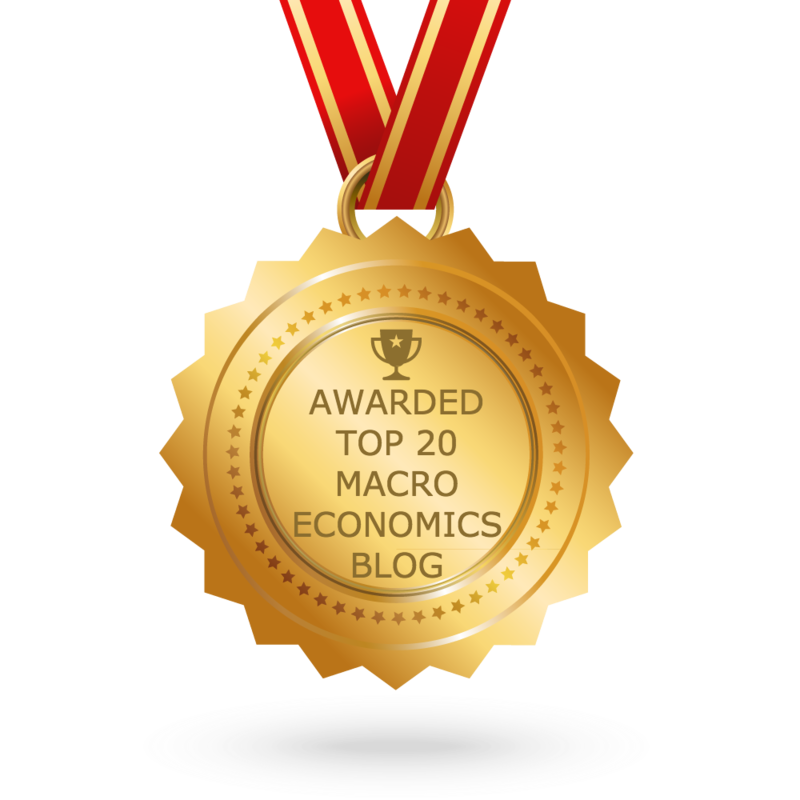 CONGRATULATIONS to every blogger that has made this Top Macroeconomics blogs list! This is the most comprehensive list of best Macroeconomics blogs on the internet and I’m honoured to have you as part of this! I personally give you a high-five and want to thank you for your contribution to this world.